This post is about a different (or at times additional) pattern that may develop in families in which the parents are not doing their job. In this particular situation, the parents were emotionally unavailable to their kids most of the time as they grew up. To complicate matters further, they did not set any limits on their child’s behavior during his or her teenage years. Teens from such families would be allowed to come and go as they pleased. They might start skipping school or not doing homework - and the parents would do nothing about it. They might come home drunk or stoned, and the parents would not seem to even notice. They might start getting into minor trouble with the authorities. One might say that children in this kind of environment pretty much raise themselves. Some continue to get into trouble and do poorly, while others may settle down and make something of themselves. In either event, when it comes to their romantic relationships, anyone who might be interested in them eventually finds themselves in a very specific damned if you do, damned if you don’t bind. Children who had been neglected in this way are missing something important, and they want it. They secretly long for someone who will love them and show an interest in them and take care of them and even set limits with them in all the ways that their parents did not. And from the outside they seem to other people to need those things desperately. They often seem out of control in some way, and seem to be in need someone to give them the proper guidance. So what happens when someone tries to take care of them? They get angry or even rageful! The logic behind this goes something like this. “I had no one in my life who parented me the way I needed. I had to take care of everything myself and make all of my own decisions. How dare you tell me how to live my life???" Add to this another and additional family system issue: The neglectful parents often had been neglectful because deep inside they felt themselves to be too inadequate to parent well. They secretly feel guilty about what their children had to do to survive. If their child seems to be independent and self-sufficient, they feel less guilty. On the other hand, seeing someone do for their child what they did not makes them feel even guiltier, so there is pressure on the child to be self-sufficient and to not depend on others. If they are not independent, their parents may become depressed on act out self-destructively. Rather than having a “Dependent Personality Disorder,” as the DSM might suggest, these "adult children" are actually counter-dependent. They are deathly afraid of their own dependency needs, and continue to try to manage their lives all by themselves, just like they always had to. In a way, this type of family situation is the polar opposite of the intrusive helicopter parenting which is also a common occurence in todays's American culture. Despite being the seeming opposite of neglectfulness, helicopter parenting can also lead to a situation in which its victims looks like they need someone to take care of them but then resent it when anyone tries. This follows from something I call the principle of opposite behaviors - opposite family behavior leads to the same or very similar result. It occurs because the extreme polarized behavior of the parents represents opposites poles of the exact same conflict - or two sides of the same coin if you will. 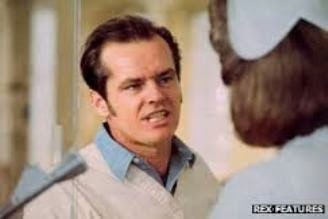 In a future post, I will show how an internal conflict in parents such as these can lead to a situation in which two brothers or two sisters develop characteristics that seem like extreme opposites, or how one generation of family members can go to one extreme with a particular behavior, the next to the other extreme, and the third back to the first extreme. That phenomenon would be next to impossible to explain if behavior were primarily determined by ones's genetic propensities. “Ex-Police Officer Pleads Guilty to Playing Role in a Disability Fraud Scheme By JAMES C. McKINLEY Jr.
A former New York City police officer accused of playing a major role in a scheme to defraud the Social Security Administration pleaded guilty on Wednesday and agreed to testify against his co-defendants. Prosecutors said that the former officer, Joseph Esposito, was one of four people who concocted a scheme that bilked the federal government out of more than $27 million. Psychiatric symptoms cannot be measured objectively under the best of circumstances. Doctors must rely on patients' self reports or on how they appear in the examining room. And people can be excellent actors in situations like this without ever having taken an acting lesson in their life. Faking a psychiatric syndrome is in most cases extremely easy to do. So it does not necessarily follow that a psychiatrist is not doing his job correctly if he or she is deceived into thinking a patient meets DSM criteria for one disorder or another. This is especially true when a patient is only seen in the doctor’s office, where an appointment may last a relatively short time. It is obviously more advantageous if a psychiatrist has a way of observing patients when the patients do not realize they are being observed. In a hospital setting, for example, patients may let down their guard during a quiet afternoon spent socializing with other patients, and not realize that a nurse is watching them out of the corner of her eye. However, the job of the schemer/faker has gotten considerably easier, whether they are trying to fake a disability claim, looking for an amphetamine prescription, or even trying to enroll in a study for which subjects get paid. This is because diagnostic interviews have gotten shorter and shorter, and doctors have begun to rely on the use of shortcuts such as symptom checklists – two things that I have been ranting about frequently on this blog. 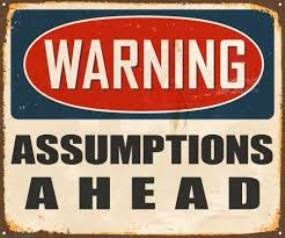 Under these circumstances, dishonest patients do not have to worry much about being caught in an apparent contradiction, nor do they need concern themselves with describing their symptoms in detail in a way which might seem to the examiner atypical for the condition they are faking. The doctors ask no follow-up questions, the answers to which might then raise suspicions that they are possibly being duped. The use of the all important follow-up questions is particularly vital in sorting out the clinical significance of a psychiatric symptom that may seem to be present. A good psychiatrist functions much like a good investigative news reporter. He or she can look for signs that the patient does not know exactly what the doctor needs to know, is exaggerating symptoms, or is possibly making some unspoken assumptions. The doctor can then ask for further clarification, which is an excellent technique for unmasking possible fabrications or half-truths. Another recent trend that makes it easier for a patient with a hidden agenda to fake a psychiatric disorder is the tendency of some doctors to type away on an electronic medical record while the patient reports his or her symptoms - instead of making eye contact with the patients and observing them carefully while they talk. Cues to fakery that involve facial expressions and body language will of course be missed. Not to mention that the doctor's attention is being split between two tasks instead of just one, making all clues to dishonestly less likely to be noticed. Of course, even a doctor who does a real and complete diagnostic interview the way it is supposed to be done can still be faked out. But doctors who do not do one are far more likely to be duped. Apparently, many of them do not really care if they are – as long as they get paid. Publish or perish. Obtain outside funding for research or lose your teaching position. Academic medicine and psychology have always been like that to some extent, but it’s been getting worse and worse lately. It’s a wonder anyone wants to become an academic these days. In academic medicine, there has also been a new push: invent something you can patent like a new drug or device that will make a profit for the University. Is it any wonder that some academics start cheating when their livelihoods depend on it and they are under this sort of pressure? Or that business interests would try to take advantage of their plight to enhance their own sales and their bottom line? This sort of hanky panky had been increasing at an alarming rate. Now of course, I am not arguing against the practice of doing clinical research and randomized controlled studies of various treatments, or against experimental psychology. These activities remain important even in light of all the corruption that is going on. It is one of the major differences between real scientists and snake oil salesmen, like those we see in much of the so-called “complementary and alternative medicine” industry. And just because a study is industry funded, that does not automatically mean that it is dishonest and not to be trusted. What the increasing level of corruption means is that we have to pay more and more careful attention to the details of the studies that do make it into print. First, we have to be on the lookout for outright fraud. An article published in the Proceedings of the National Academy of Science by Fang, Steen and Casadevall (October 16, 2012, 108 , pp. 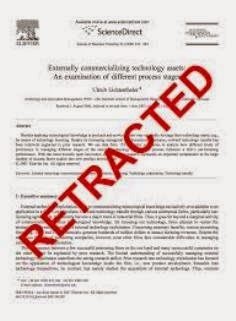 17021-17033) found that the percentage of scientific articles that have been retracted because they were found to contain outright fraudulent data has increased about tenfold since 1975! Journals also retract articles because of problems with a study that do not involve actual faking data, but the Fang article found that only 21.3% of retractions were attributable to innocent errors. In contrast, 67.4% of retractions were attributable to misconduct, including fraud or suspected fraud (43.4%), duplicate publication (14.2%), or plagiarism (stealing other people's material) (9.8%). The authors also found that journals often soft-peddle the reasons for any retractions that they do make. Incomplete, uninformative or misleading retraction announcements have led to a previous underestimation of the role of fraud in the ongoing retraction epidemic. Zoe Corbyn of the journal Nature opined that authors and journals may use opaque retraction notices to save face or avoid libel charges. Second, we have to pay more attention to the design of the studies, the outcome measures used, and the statistical tricks employed to arrive at the study’s conclusions. We have to look to see if the abstract of a study, which is what most practitioners read if they read anything at all, actually summarizes the findings correctly. We have to look closely if the results are suspect because of the way the sample of subjects was selected and/or screened. I described in a previous post an excellent example of authors completely mischaracterizing the sample of subjects in a journal article published in the premier medical journal of our times. Research in psychology and psychiatry has problems that are unique to those fields and which are very important. In fact, Cook and Cambell in their book (Quasi-Experimentation: Design and AnalysisIssues for Field Settings) point out that randomized trials in our field are not really truly experimental in the scientific sense, but are instead what they call “quasi” experimental. This is primarily because of a major problem in such studies that concerns the nature of subjects selected for a study. People are by their very nature extremely complicated. True scientific experiments must assign subjects at random to various treatment or placebo groups. However, in the social sciences, subsets of research subjects are very likely to differ from each other in many ways other than the presence of the treatment whose effects are being tested. Conclusions from studies about cause and effect are much more complicated in psychiatry and psychology than they are in, say, physics. In physics, the matter under study is isolated from external sources of influence. Obviously, most controlled studies in medicine do not keep the subject under wraps, and under the complete control of the experimenters, for months at a time. Second, in physics, other variables that change over time can be kept out of the experiment's environment. Not so with aspects of people’s lives. Third, measurement instruments in psychology are often based on highly subjective criteria such as self-report data or rather limited observations interpreted by the experimenter. Cook and Campbell also show how experimenters can manipulate the subjects in ways that can determine in advance the results they are going to get. This is because experimenters are usually dealing with variables that are distributed continuously rather than classified as one way or the other on the basis of some discreet characteristic. 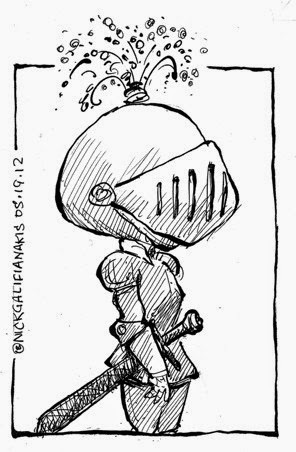 As examples, how much does someone have to drink in order to be classified as an alcoholic? How often do you have to engage in risky impulsive behavior to be classified as having poor impulse control? Both potential causes and potential effects in psychology and psychiatry are distributed in the usual manner - in a bell-shaped distribution curve. 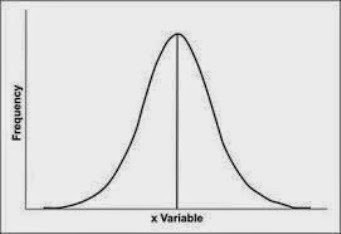 Let's say that the variable (on the "X axis") above is how often subjects engage in risky behavior. Some people will rarely do so, others will do so often. Both extremes are seen infrequently in the populatiom, however. Most people fall somewhere in the middle. So in determining whether one group of subjects (say people with a certain diagnosis) are more prone to risky behavior than another, where should we draw the line on the X axis in determining who has a problem with this and who does not? At points A, the cause appears to be both necessary and sufficient. 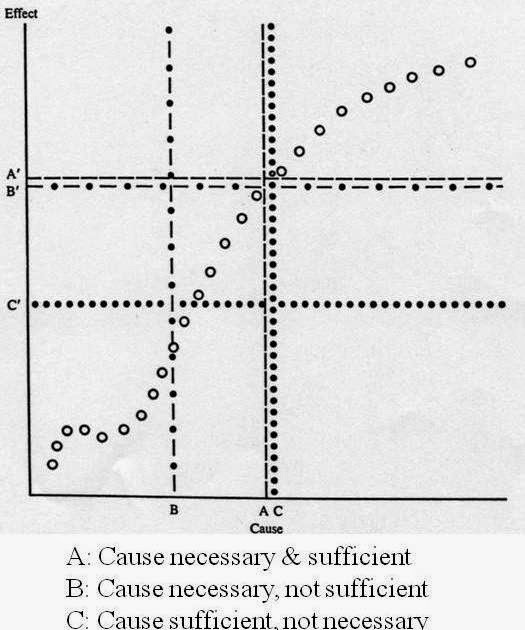 If points B are used, the cause appears to be necessary but not sufficient. Dichotomize the variables at points C, and the cause appears to be sufficient but not necessary! A tricky experimenter can use this knowledge to design the study in advance to get the results he or she wants to get. In fact, there are probably no necessary or sufficient causes for most medical and psychiatric conditions, but only risk factors which increase the likelihood that a condition will appear. To steal an analogy from another field of medicine, there will always be people who smoke a lot but who do not get lung cancer, and there will always be people who never smoke who do. My interest as a therapist has always been finding what is called a "metatheory." Psychological theories, particularly those which try to explain why people who seek therapy are often so self-destructive, tend to focus on just one aspect of the problem almost to the exclusion of many other important considerations. In looking at patients, therapists from different "schools" of therapy that deal only with individuals focus solely on just one of the following: environmental factors which seem to trigger the behaviors, thoughts that are irrational and lead to counterproductive feelings and behaviors, seemingly inappropriate affects, or internal conflicts which pit one’s biological urges against values learned and internalized from one’s family or culture. Psychiatrists these days tend to focus just on biological and neurological processes. Therapists with training in social psychology or family systems theory may look at either the family dynamics or at larger sociocultural influences. There are mental health professions who are trying to counter this myopia (also called reductionism) and who would like to integrate all of these viewpoints. The typical metaphor employed by those folks is the famous story of the blind men and the elephant. One blind man feels the tail of the beast and makes conclusions about what the elephant looks like based solely on this, while others feel other parts of the elephant such as the hind quarters or the trunk, and make conclusions about the what the elephant might look like from those alone. 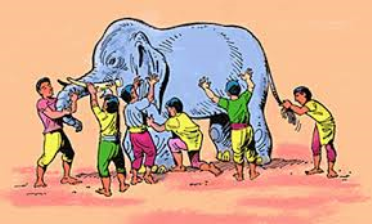 Some "integrationists” want to look at the whole elephant, so to speak, but are overly cautious about it. They stick to just looking for commonalities among the theories of the various blind men, rather than the whole picture. They are afraid that "integrated" therapy would be just one more school. This is reflected in the absurd name of their organization: Society for the Exploration of Psychotherapy Integration (SEPI). In other words, do not actually integrate anything, just "explore" the possibility. Luckily, there are a few members of SEPI who want to understand the whole elephant as a complete unit unto itself. I count myself among their number, and am part of something called the Unified Psychotherapy Project. 1. The relationship between a self and its social system is not a constant but a variable. 2. As children get older, their "self" differentiates from it social system - in most cases his or her family of origin - in a process known as separation-individuation. In other words, children gradually gain the ability to separate and express their own intellectual and emotional functioning when it is different from or disagrees with that of most of their family members. 3. All individuals go through this process as they negotiate the passages of individual development whether they want to or not. 4. Human culture has evolved over history so that, at each stage of human childhood and adult development, individuals have been able to differentiate more and more from the collec­tive as they go through the process of separation-individuation. The overall balance between individual expression and group conformity has, at least in developed countries, gradually shifted over history towards the former. 5. Consensual validation from other members of the family system is necessary for individuals to feel comfortable expressing individuated behavior, also called self-actualization. 6. Because individuals have an inborn biological propensity to concern themselves with the survival of the species, they are willing to sacrifice themselves, or aspects of themselves, in order to further what they perceive to be the greater good of their own family and ethnic group (kin selection). 7. When individuals find that certain differentiated aspects of self seem to threaten the immediate representatives of the species, the family system, they will attempt to sup­press or completely sacrifice those self-aspects. 8. In order to do so, they develop a false self, or persona, which is then maintained by a variety of self-suppressive devices such as self-scaring through the irrational thoughts catalogued by cognitive therapists (catastrophizing for example)- also called self-mortification - and through the use of the traditional defense mechanisms catalogued by psychoanalysts like Anna Freud. The de­velopment of a persona often causes individuals to appear to be incapable of certain kinds of activities, which makes them appear to be defective in ways that they are not. 9. The needs of the family system to respond to the cultural forces which seem to mandate the evolu­tion of increased self-actualization often conflict with the needs of the system for stability and predictability (family homeostasis). 10. Younger members of the family are often induced by the needs of the larger culture to behave in a fashion that is far more differentiated than the behavior of the parents. The parents, who are the leaders of the family system and its most important constituents, may be unable to com­fortably tolerate such behavior, even when they are them­selves attracted to it. The whole family system becomes threat­ened. 11. This problem often cannot be solved in ways other than through the sacrifice of the younger system members' individuality because of two factors: the tendency of fam­ily members to protect one another from anxiety and shame, leading to an avoidance of discussing what is going on between them (metacommunication), and secondly, the tendency of family members to rely on past experience in evaluating new family behavior, leading to the so-called game without end. 12. These factors not only lead to impaired individual func­tioning but hamper the family from adjusting to new cul­tural contingencies. The efforts of individuals to protect one another, in particular, lead to eventual harm for everyone. I call this the altruistic paradox (or sometimes the Mother Teresa paradox). A therapist can help solve the problem of self-sacrifice by work­ing with individuals and teaching them how to avoid the difficul­ties that lead to impaired family problem solving. The pioneer in this approach was Murray Bowen. He used education, logic, and collaboration to coach his patients on how to deal differently with their families. However, what he tought them often involved techniques other than education, logic, and cooperation. 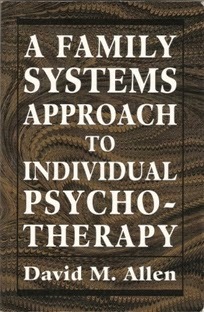 In Unified Therapy, the ther­apist instead teaches patients to adopt a problem-solving ap­proach with their families. Specifically, patients can learn to overcome both their own and their family's resistances to metacommunicating about family difficulties. They can learn to bring up systemic problems in ways that do not induce negative reactions from other members of their family systems. The keys to effective metacommunica­tion are empathy, avoidance of moralistic blaming behavior, and respect for the integrity and potency of all family members. In therapy, patients come to an expert to learn how they are induced by the reactions of others to behave in self-destruc­tive ways and why the others behave in the ways that they do. Patients learn to empathize with and understand the reasons for the negative behavior of other system members without agree­ing that the behavior is good and without sacrificing their own thoughts or emotions. They learn to differentiate between emotional reac­tivity and emotional reactions. They learn to tolerate and to sub­vert attempts made by other family members to stop them from proceeding in the task of metacommunicating. They have an op­portunity to practice what they have learned by role playing with the therapist. Specifically, the patient is trained to deal with various maneuvers that the rest of the system uses to get them to shut up and not challenge the rules by which the family operates. These maneuvers represent attempts to withdraw consen­sual validation from the patient and include such things as accusations of self­ishness, changing the subject, unreasonable behavior, double binds, blame shifting, nitpicking, overgeneralization, mental gymnastics, and fatalism. The patient is also trained to prevent family members from uniting in various combinations to defeat the patient's efforts to metacommunicate. Once the systemic problem has been dealt with, mal­adaptive and self-destructive behavior problems begin to disappear, along with many types of anxiety and mood symptoms.